I just love this new cutting board I got from Kichin. 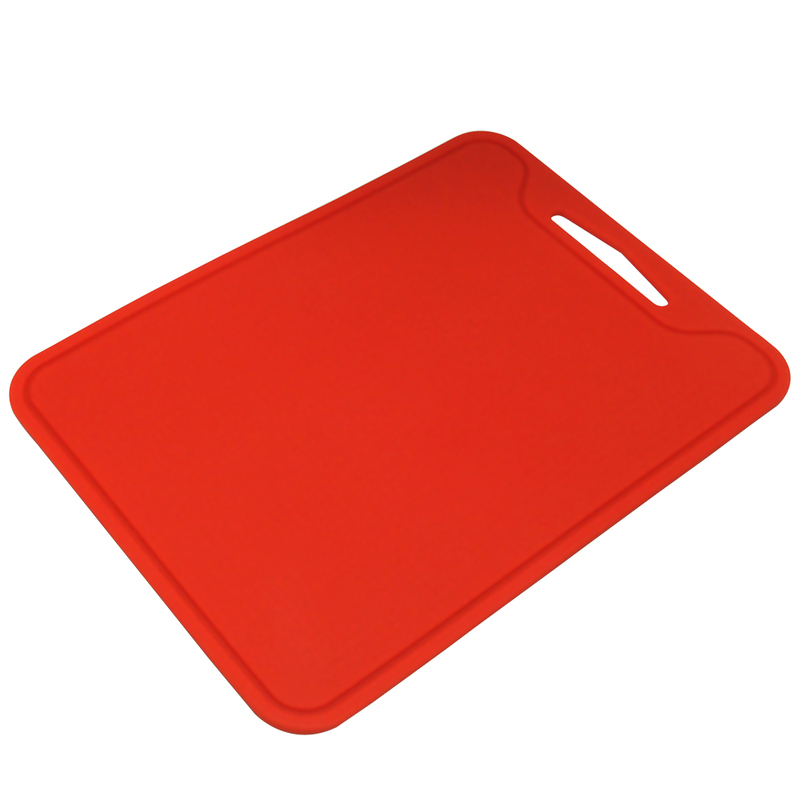 This cutting board is made of a really think silicone so it’s great for cooking because nothing is going to stick to it. It’s thick enough that it holds it’s form well but it’s also super flexible. So I can fold it up which is great when I cut up something, I can just pick it up and hold it over the pan, pull the sides in and dump the food in the pan. I use mine for everything meats, veggies, fruit, even baking items. Since it’s silicone you can use it for items you don’t want to stick, like the other day I used it for haystacks and let them cool on the cutting board. It’s really easy to clean also! Just wipe it down or throw it in the dishwasher. Perfect cutting board! AMAZING NON SLIP GRIP – Designed with amazing surface grip for 100% non slip cutting to prevent slipping and sliding on your worktop. SAVE HOURS WASHING UP – Our Flexible Cutting Board is Dishwasher Safe for convenient cleaning so you don’t have to worry about wasting valuable time at the sink. DEEP JUICE GROOVES – Prevent leaks and spillage with intelligently placed deep juice grooves to stop excess liquid falling off the edges. USE BOTH SIDES – You can use one side with juice grooves and one side without juice grooves. Ideal for chopping fruits and vegetables. FOOD GRADE SAFE – Prepare your meals with complete security knowing that this eco-friendly silicone technology is BPA free, FDA approved and is known to be anti-e.coli, anti-salmonella and anti-listeria. You can purchase this cutting board on Amazon!